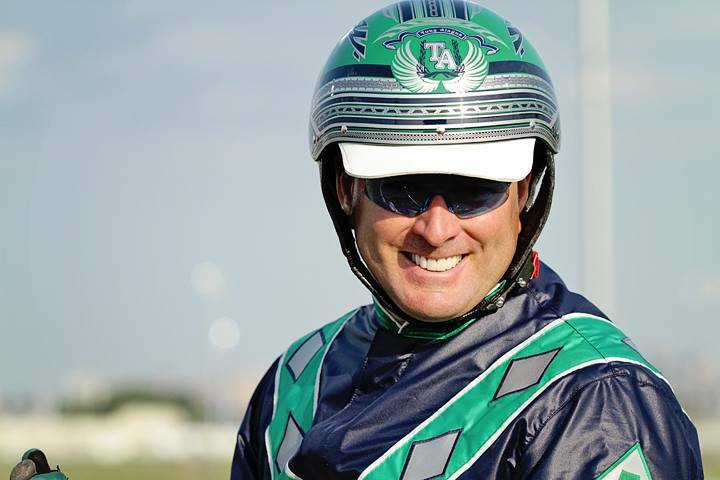 Since starting his own public stable in the fall of 2009, Tony Alagna has established himself as one of harness racing’s top trainers. Alagna has seen his stable’s earnings increase regularly and enjoyed a career-best year in 2013, with 151 wins and $5.44 million in purses. His stable ranked No. 3 in North America in earnings last year and has amassed more than $15 million since opening its doors. Alagna trained Captaintreacherous to Pacer of the Year awards in 2012 and 2013. “The Captain” became the first pacer to win that honor in consecutive years since Jenna’s Beach Boy in 1995-96 and joined Niatross as the only horses to accomplish the feat at ages 2 and 3 since the award was first given in 1970. Pacer Bret Hanover was honored at ages 2, 3 and 4 with the Horse of the Year Award from 1964-66. Other top horses for Alagna have been My MVP, who won the 2012 Kentucky Futurity, as well as stakes-winners Authorize, Fresh Idea, Handover Belle, Ideal Magic, Major Bombay, Mel Mara, Nikki Beach, and Rockaround Sue. Alagna is the son of Chicago-based trainer Donna Lee Ozment. He was riding a pony at age 3 and studying bloodlines before he was a teenager. Soon after graduating from high school, Alagna was assisting his mom with her stable. He later worked for trainer Brian Pinske before finishing his college degree in 1997. After college, he worked as the private trainer for Pat and Ken Walker’s Fox Valley Standardbreds in Illinois for three years and then spent six years as the top assistant to trainer Erv Miller. While with the Miller Stable, he helped train standouts such as Lis Mara, Shark Gesture, Classic Photo, and Muscle Mass. He started his own stable in 2009 at the age of 37.